Zimbabwean President Robert Mugabe is again in Singapore for a “scheduled” medical checkup that has meant nearly a week-long leave for the veteran politician, according to media reports. 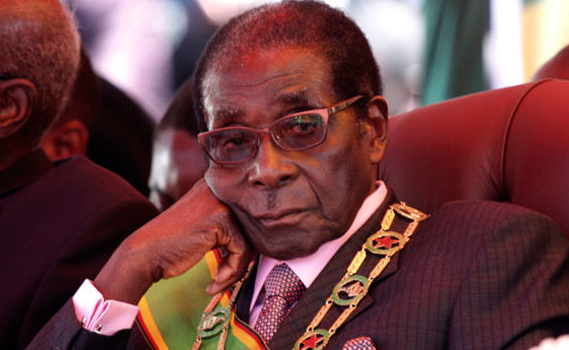 Mugabe’s aides say he suffers from an eye cataract, but other sources suggest he suffers from prostate cancer, which doctors say it can be successfully treated. Kenyan media quoted Mugabe’s spokesperson George Charamba confirming that the 93-year-old statesman flew on March 2 to Singapore where he will spend a weekend undergoing “scheduled medical review”. Mugabe’s trip coincides with riots of medics demanding for a raise, though the riots hit a snug. The Singapore trip comes a week after his costly 93rd birthday anniversary in Harare capital. Opposition politicians in Zimbabwe are mocking Mugabe saying the money required to settle his big medical bill would contribute to increasing the salaries for medical workers.